Major Locations for Yoga : : Rishikesh (Uttrakhand), Haridwar (Uttrakhand), Gaya (Bihar), Kerala, Chennai (Tamil Nadu). Yoga retreat is a simple meditation that helps to breathe control and widely practiced for health and relaxation. Many people believes that, the term Yoga refers to union between body and mind or body, mind and spirit, but, the traditional acceptance is the union between the Jivatman and Paramatman that is between one's individual consciousness and the Universal Consciousness. Therefore, Yoga refers to a certain state of consciousness as well as to methods that help one reach that goal or state of union with the divine. The human beings face many problems in their regular life like back pain, joint problem, stomach pain overweight, breathe and mind relaxation. Even medical has not proper treatments for these types of problem so Yoga retreat plays a great role here. The holiday India provides helps to find complete packages for Yoga retreats and Ayurveda tour in the India. For further help or booking query feel free to fill the enquire form. On arrival Haridwar transfer to Rishikesh. Afternoon city tour followed by grand viewing of Ashrams, some of which are internationally recognized as Centre of Philosophical studies, Yoga and Meditation. An international yoga week is being organized here every year by Uttarakhand Tourism between 02nd and 07th February. A few of the ashrams in and around Rishikesh are. • Arrive and check in into the Yoga Niketan Ashram. Afternoon is to be spent on briefing of day routine. Early morning drive to Gangotri, enroute at Gangnani take a holy dip in Garam Kund, further drive to Gangotri via beautiful Harsil Valley. Harsil is famous for its nature beauty and for the majestic views of the Deodar trees, and mountains. 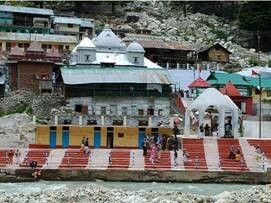 On arrival Gangotri, transfer to your hotel. Dinner & Overnight stay. After breakfast, proceed on a trek to Bhojwasa (3792m) with packed lunch. Starting with an easy climb the route is filled with breathtaking sights as the magnificent scenery unfolds itself at every step. Stop for lunch at Chirbasa (3600m), clothed in the greenery of pines with stunning glimpses of the gigantic Gaumukh glacier, before reaching our camping site. From here one can see the majestic view of Bhagirathi peaks. On arrival we pitch tents. Free to explore local area at your own. Dinner and overnight stay in Bhojwasa. Early in the Morning enjoy the panoramic view of Bhagirathi group of peaks. After breakfast trek to Gaumukh (3890mt), the source of the Ganges. Gaumukh is where the water of Ganga trickles down from the glaciers. The sages called it 'Gaumukh', because in the distant past, it probably appeared like a cow's mouth. Explore the area and trek back to Bhojwasa for overnight stay. 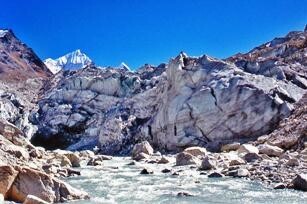 Gaumukh: The Gaumukh glacier is the source of Bhagirathi (Ganges) and is held in high esteem by the devout that do not miss the opportunity to have a holy dip in the bone chilling icy water. After breakfast get ready for trek down to Gangotri and from here drive back to Uttarkashi. On arrival at Uttarkashi check in at hotel. Evening visit Shri Vishwanath Ji temple, return to your hotel for Dinner and overnight stay at the hotel. Uttarkashi (Hindi: उ तरकाशी), meaning Kashi of the north, is a town in Uttarakhand, India. It is the district headquarters of Uttarkashi district. Uttarkashi is situated on the banks of river Bhagirathi at an altitude of 1352 m above sea level. Uttarkashi is home to a number of ashrams and temples and also to the Nehru Institute of Mountaineering. The name of the town reflects its similarity to and location (as north of) the city of Kashi (Varanasi). Similar to Varanasi, town of Uttarkashi is situated on the Ganges, lies next to a hill named Varun Parvat, on confluence of two riversVaruna and Asi, has a ghat called Manikarnika Ghat and has a temple dedicated to Shiva (Kashi Vishwanath Temple) in the center of the town. This district has one degree college affiliated to Garhwal University. There are two inter college for boys and girls besides many schools. For higher education in technology there is poly technique institute situated in Joshiyara around 3-4 km away from main city. Drive to Rishikesh, Check in Hotel. Rest day at leisure. Free to explore near Ganga Ghat / shopping. Dinner & Overnight stay. After breakfast, drive to Haridwar. Visit Haridwar Temples & Sight Seeing. 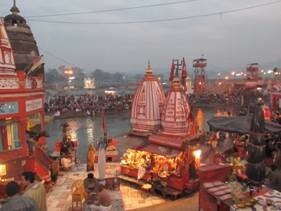 Also visit Har-ki-pauri. Later at evening, transfer to Railway Station. - 03 Nights (Day 01-04) Accommodation at Yoga Ashram on APAI Basis (Rishikesh – With Ashram Meals). - Yoga Meditation Classes with Instructor (At Ashram). 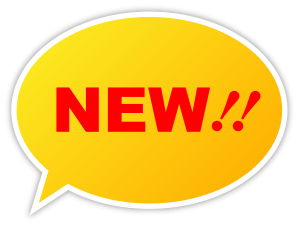 - All Transportation (Day 01 & Day 04-09) with all road, state taxes, driver allowance, permit & night halt charges. 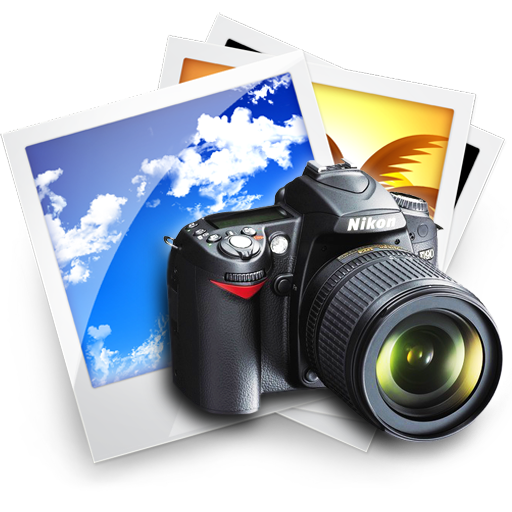 - Package based on Half Board basis (MAPAI) while staying in hotels (Gangotri, Uttarkashi & Rishikesh). - Accommodation in tents on full board basis (APAI) while staying at Bhojwasa. - All Camping Equipments (Camps, Sleeping Bag & Mattress) while on trek. - Service of English Speaking Guide while on trek. - Entrance fee and permission charges for Gaumukh Trek. - Porterage of 10 to 15 Kg of Personal Baggage (Trek). 3.09% Govt. Service Tax, Train Fare, Table drinks, laundry, porter, pony, tips, camera fee, ropeway charges, travel insurance, personal expenses of the clients or any other expenses incurred due to bad weather, road closure, land slides etc. and anything not specified in cost include.